A team of eight intrepid explorers from K2 Corporate Mobility took on the most popular of Kilimanjaro routes, the Machame, to raise much needed funds for seriously ill children and their families. The six-day trek included climbing 5895m, five nights of camping, a scramble over the infamous Barranco Wall, before a rewarding summit to watch the sunrise over Mawenzi peak. 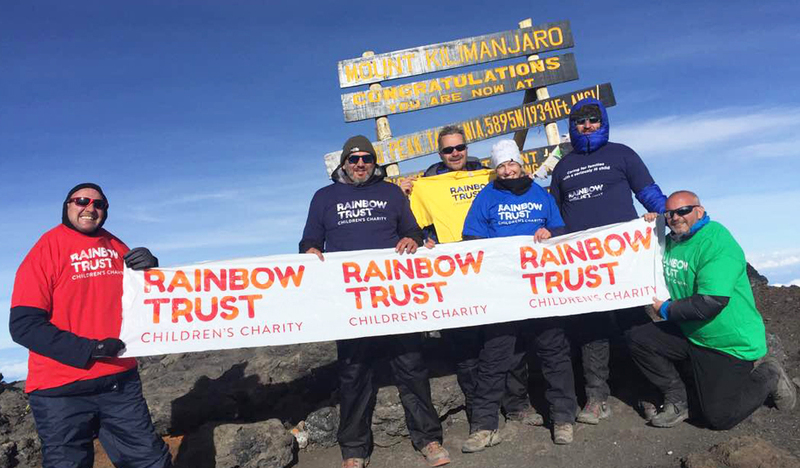 The team have managed to raise a phenomenal £17,795 from their Kilimanjaro challenge. In addition to this K2 have also been fundraising throughout the year bringing their total to over £43,000. This will allow us to fund a Family Support Worker for an entire year, to provide emotional and practical support to families caring for a seriously ill child. A huge thank to the team for their continued support, we look forward to seeing what crazy challenge they take on next! If you or your team are interested on taking on this challenge please take a look here for more information or get in touch with the Sports and Challenges team.